3D zombie racing game. The global biological disaster turns cities into a territory filled with the dead that have come alive. Survived riders arrange competitions in brutal vintage cars. 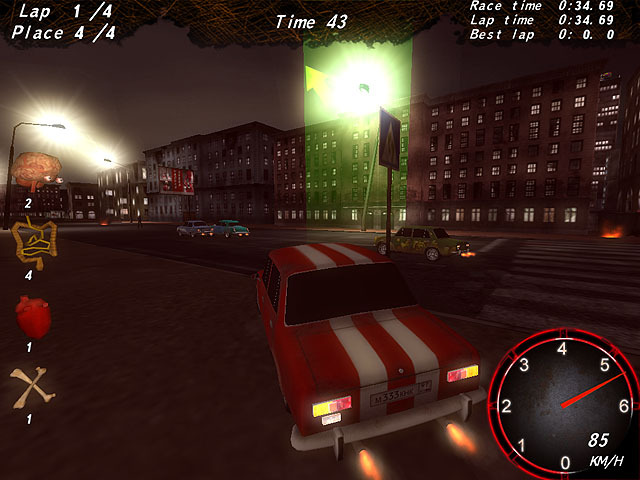 Tracks run through the streets of the city with a roaming crowd of zombies. The winner is the one who comes first and hits the largest number of the dead. These extreme events are called Zombie Apocalypse Racing. To refill precious seconds knock down zombies. Successful participation in the races will complete your collection of vintage cars in the garage.